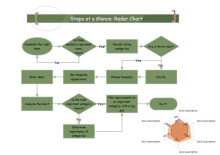 Before learning how to create complex flowchart, click here to see the basic flowchart drawing guide. 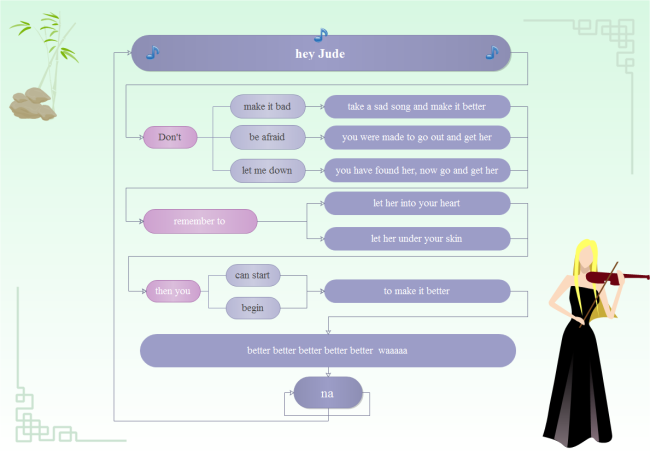 If you already know the basic techniques, continue the article to learn the skills for making complex flowchart. In Edraw, if a flowchart extends beyond the boundaries of the size page, the page will extend horizontally or vertically automatically. 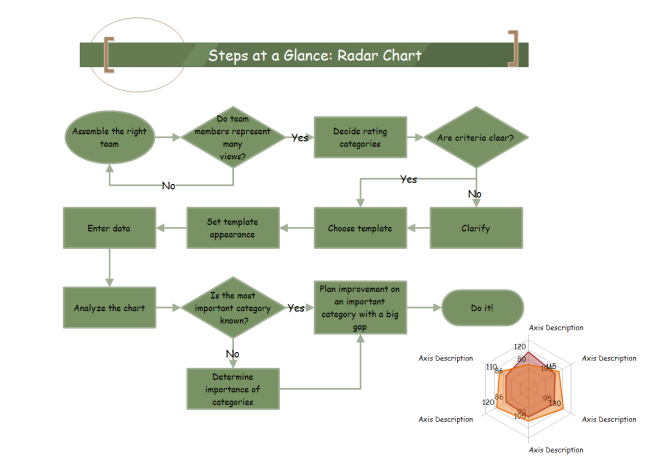 Of course, you can also change the drawing page size and the orientation so the page can contain more flowchart symbols. 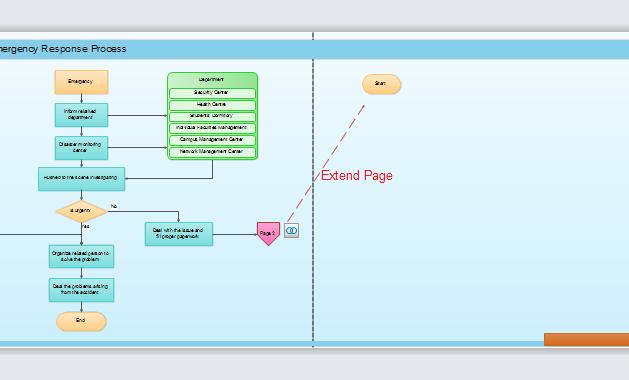 You can create multiple flowcharts in different pages. But all flowcharts are in a same document. Right click the page label then click the Add Page... item in the pop up menu. 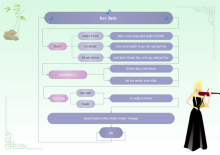 Our flowchart software makes it easy to connect the flowchart shapes by using smart connectors. If you rearrange the connected shapes, the connectors stay attached to the shapes and reroute, so you won't waste time redrawing lines. Click on the "Connector Tool" located at the top left of the toolbar. Several blue "x" are scattered around the symbol while the connection line is near the symbol. These are connection points. Click on the connection point of a symbol. A small line appears. Drag the line to the connection point of another symbol. The connector is now joining these two flowchart symbols together. 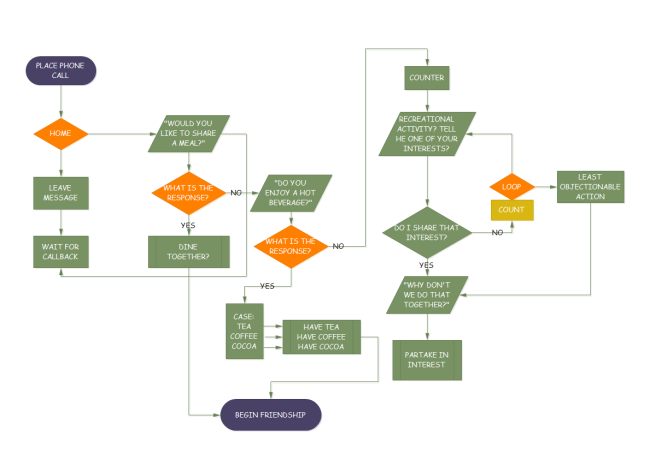 If the flowchart gets too complex, you can extend it on several pages. 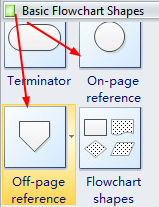 For example, you can link a terminator box that represents another procedure to that procedure, or a document shape to the actual document file. 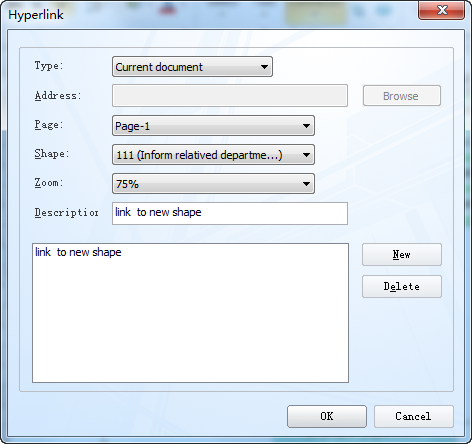 While dragging the off-page reference shape to the drawing pane, a hyperlink setting dialog will pop up. You can choose the page, shape, or document you want to link to. Edraw offers more than flowcharting. It's also a way to manage process information. 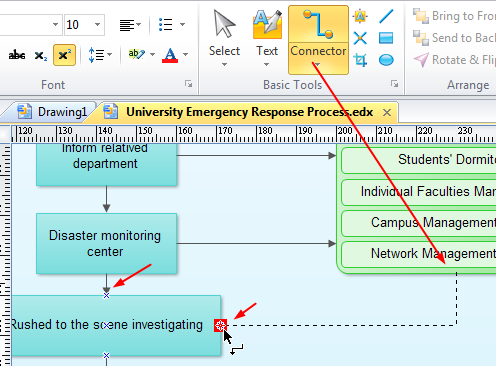 Using custom properties, each shape can store information about the flowchart process. For example, a process shape can store the cost, duration and price. Select a shape then press 'F4' to open the custom properties dialog. Managing your flowchart information is as simple as entering your data into the custom properties.